The enormous contract offer made by Juventus for Aaron Ramsey has reportedly been revealed by the English press (via The Mirror). 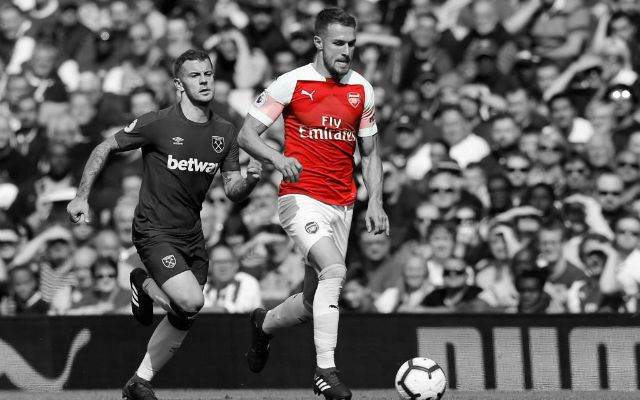 In around six weeks, Aaron Ramsey will be free to accept a contract offer from a foreign club and it seems as if the race to sign the Welshman is hotting up. We reported last week that German champions Bayern Munich were leading the race for the 27-year-old but it appears as if they aren’t the only side interested. Italian giants Juventus are certainly familiar with free transfers with the acquisitions of Emre Can, Dani Alves, Sami Khedira and Paul Pogba in recent years. Now, it seems as if they’re keen on adding Aaron Ramsey to the list with a reported contract offer of over £10 million per year. The offer would see Ramsey fetch in around £200,000 per week, around double what he is currently earning at Arsenal. It’s a big deal but free contracts can afford to be once the clubs have taken transfer fees out of the equation. It’s becoming more and more common in football and that won’t change soon.